From Oscar-winning Producer Li-Kong Hsu (Ang Lee's The Wedding Banquet, Crouching Tiger HIdden Dragon, Eat Drink Man Woman) and Stephen Israel (Swimming With Sharks and G.B.F. ), comes this multi-cultural comedy-drama, which takes a funny but honest look at gay family issues in complicated dynamo of a cross-generational Taiwanese and American family. 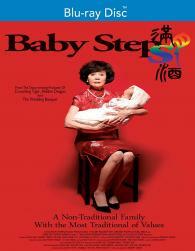 Danny, a Taiwanese-American man, longs to have a baby with his American partner Tate, but their attempts at international surrogacy are complicated by Danny's meddling mother, who wants to control every aspect of the process -- all the way from Taipei.